Last edited by GeorgiaPeach; 02-09-2019 at 11:55 PM. Last edited by ALIPAC; 02-10-2019 at 04:22 PM. Last edited by GeorgiaPeach; 02-10-2019 at 11:31 PM. That is one hell of a big number, particularly since much of the data suggest that the U.S. already houses some 30 million illegal immigrants. Four or five million more will increase the illegal population by 12% to 17% in just one year, something that will make assimilation for migrants already here in migrant enclaves that much harder. 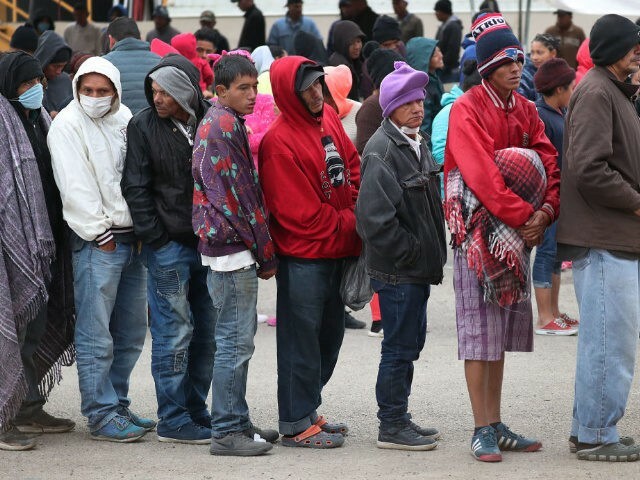 Migrant enclaves already are at the top of the U.S. lists for bad places to live - 10 of the 50 worst places in America to live according to this list are in California, and all of them are famous for their illegal populations. The newcomers will need social services, given that most will not have the requisite language, education or skills to succeed here. Many will be unwed mothers, which ensures even here that they will be assimilating into the underclass. 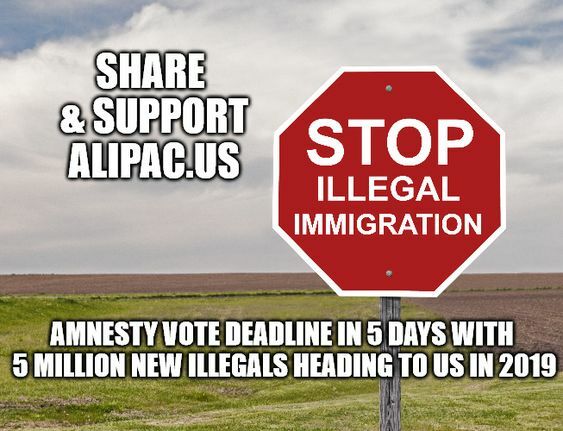 The cost to taxpayers to feed, house, educate, medically treat and jail the newcomers will run into billions. Last edited by GeorgiaPeach; 02-10-2019 at 11:32 PM. President Trump's case for declaring an emergency and building the border wall has just gotten a lot more urgent. It's time to skip the baloney with Congress. Gallup put out a poll last week, finding that five million Latin Americans plan to cross into the U.S. this year alone. And the total number who plan to enter the U.S., either this year, or later, is 42 million. The U.S. admits a million legal immigrants each year from all countries. This new survey shows that at least four million of that five million are planning to enter illegally, most likely by crossing the border. That's a human tide. And the case for President Trump declaring an emergency and building a wall instead of bargaining with an unwilling Congress convinced there's no crisis has just gotten that much stronger. And sure enough, the Border Patrol does say that illegal border crossings are up, way up, and hitting record numbers, according to the Washington Post. The human tide has started. I can add that Latin America isn't the only place where people are contemplating entering the U.S. illegally. The African and Asian continents are also loaded with aspiring illegal immigrants. Democrats, of course are never going to answer that question. But it needs answering, because the human waves are coming. Gallup didn't ask Latin Americans why they might be planning to come now in such great numbers this year, but it's pretty obvious that one answer is that there is an ongoing border wall debate, and the talk just keeps going. So long as the U.S. is enmired in Democrats' blockage of any funds for a border wall, yet the talk goes on of building, the message to illegal migrants is to move. Get in before the wall gets built while the Democrats are still arguing. This is the window. Don't wait for the border wall to get built. Get in under the wire. That very dynamic is a good argument for why President Trump should just skip the shenanigans with the Democrats, declare an emergency, and build the wall. The longer this drags on the more the human waves are going to build. And as Gallup reports, we're looking at a tsunami.